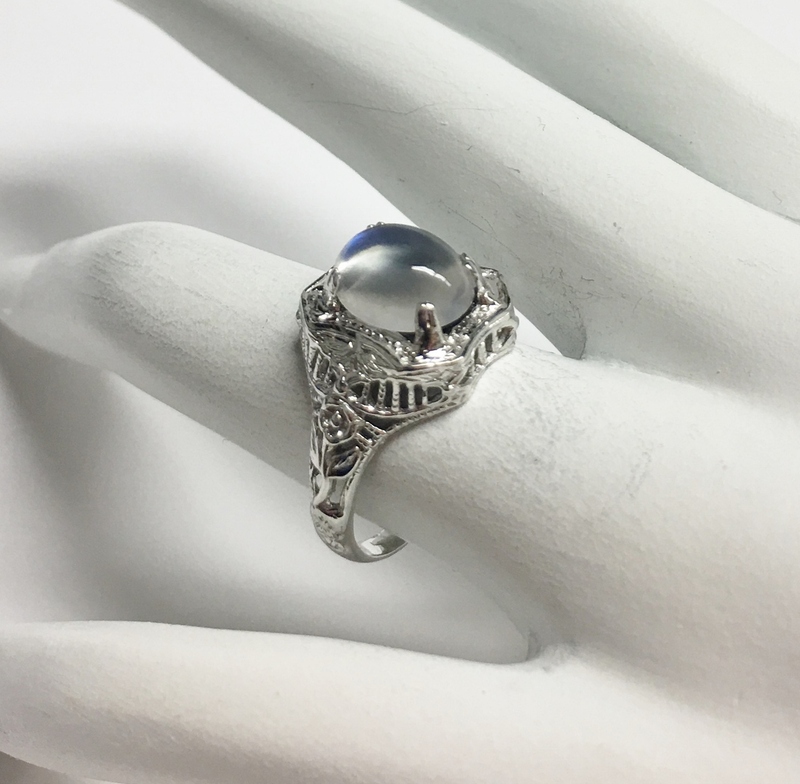 A 14K white gold antique style ring featured with an oval cut moonstone weighing approximately 2 carats total weight. 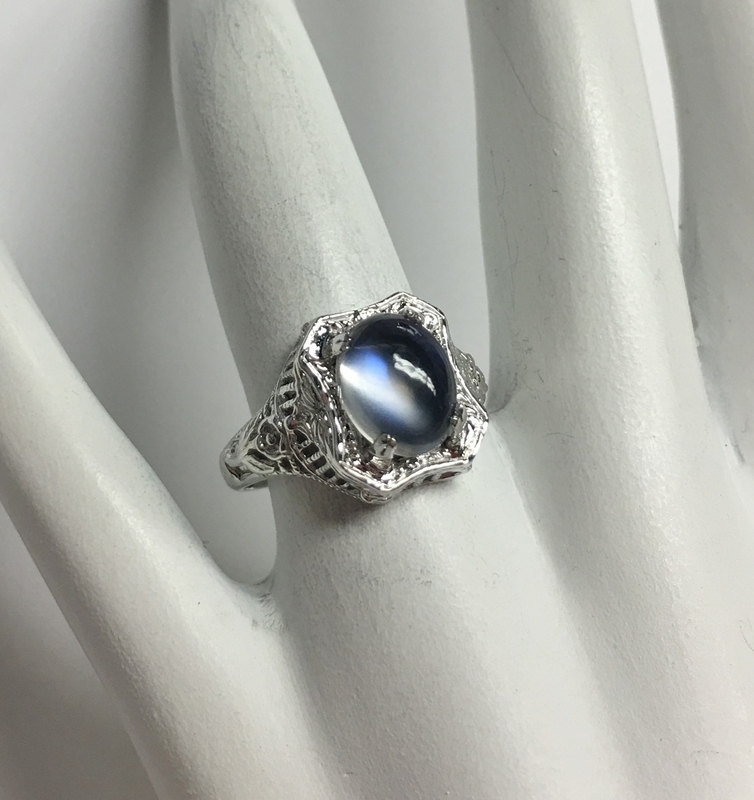 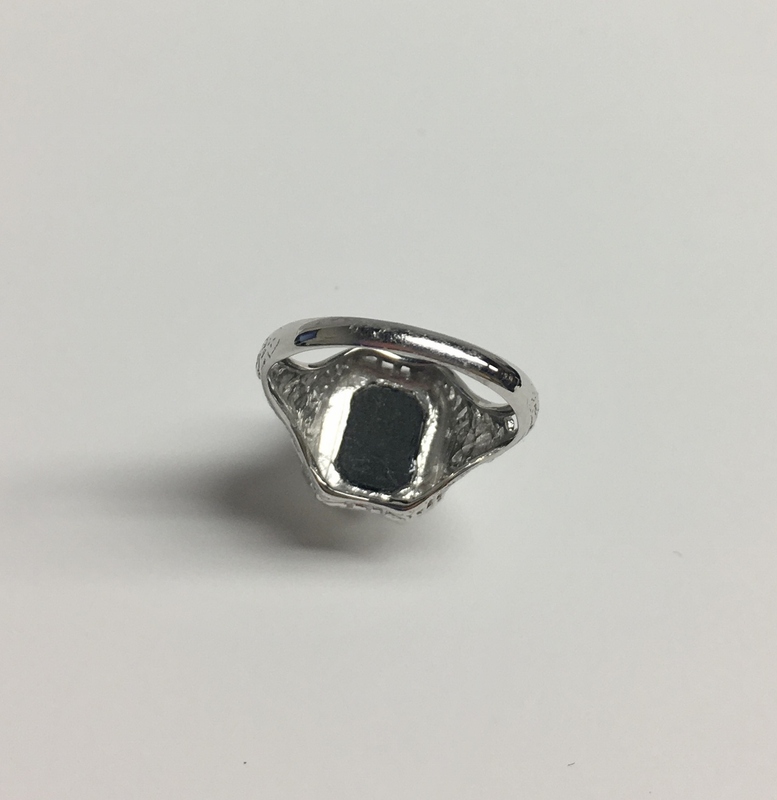 There is a small piece of black onyx setting underneath the moonstone for enhancing the color of the moonstone. 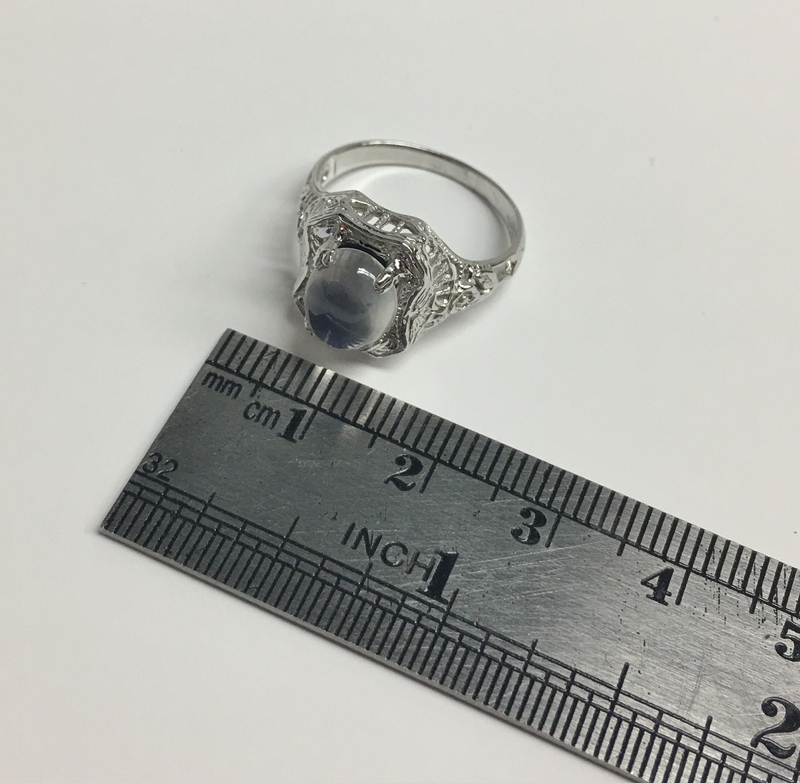 This size 6 ring weighs 3.40 grams.